The Aqua 8 is a good solution for customers who are tall and larger in size, although it is suitable for everybody. 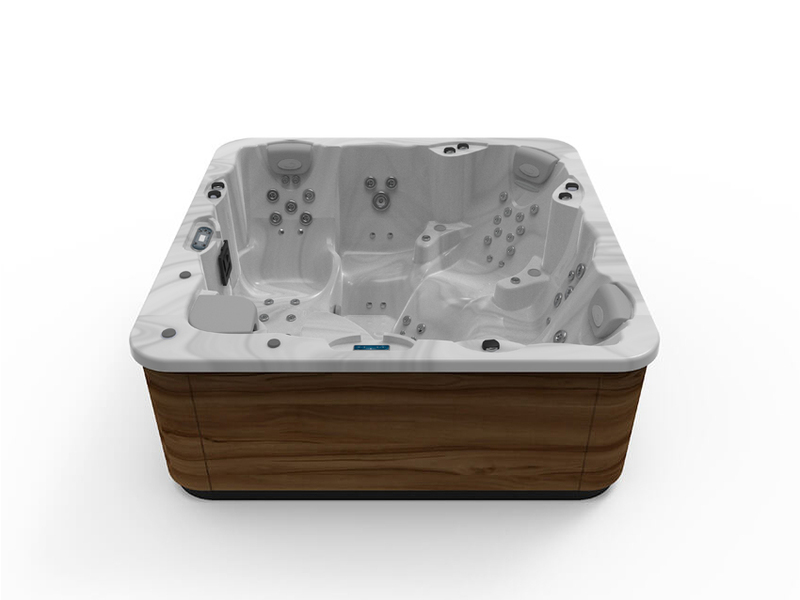 It is a 5-person hot tub designed to maximise space and make the most of it. The distribution of seating positions is very similar to the Advance 50, from the same collection and also for 5 people, though it has much more space. The Aqua 8 concept is designed for people seeking an effective and efficient massage with no space limitations. It is also great for sharing pleasant times with guests with a comfortable spaciousness to keep distances if necessary. 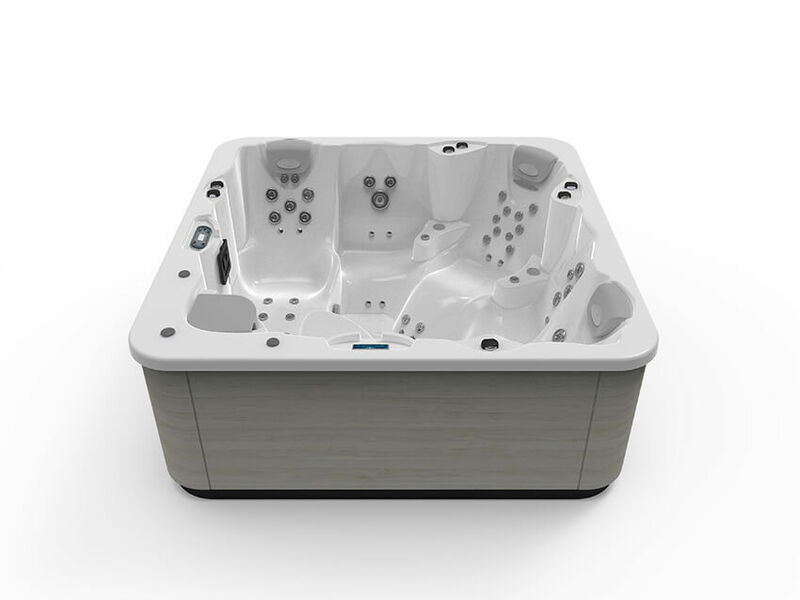 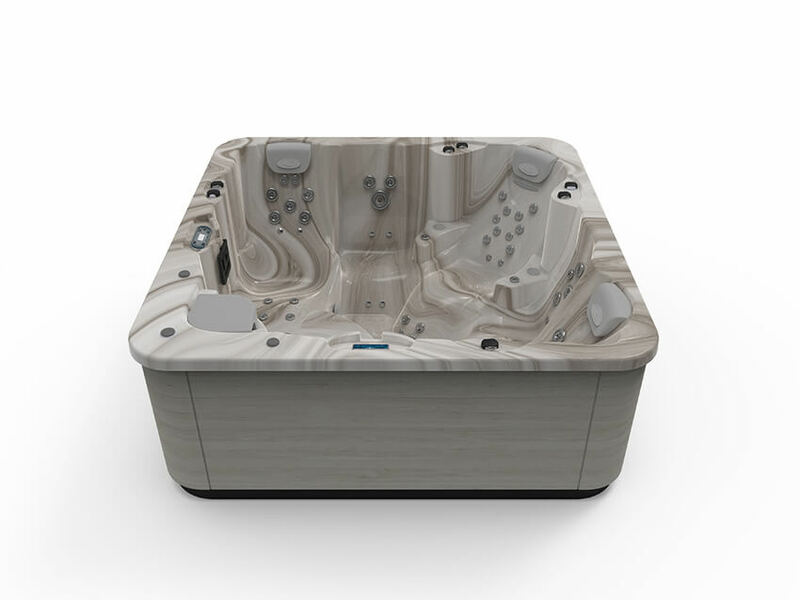 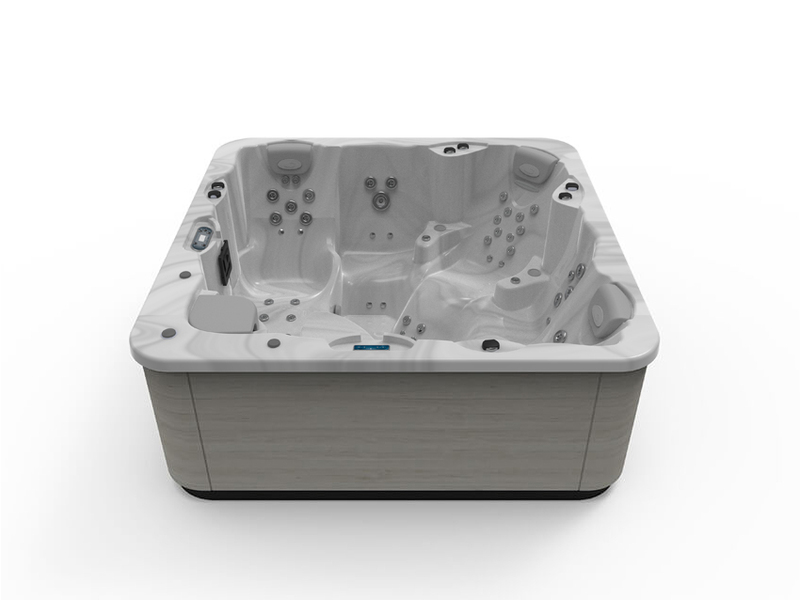 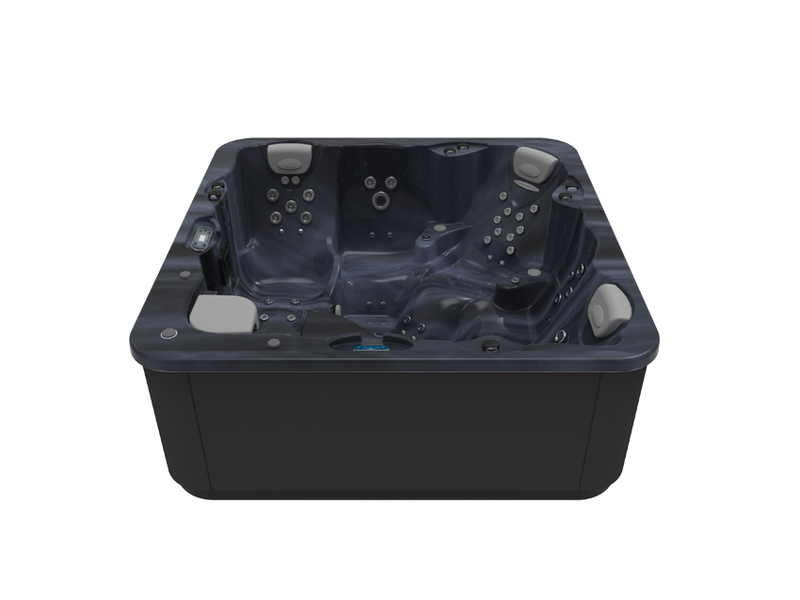 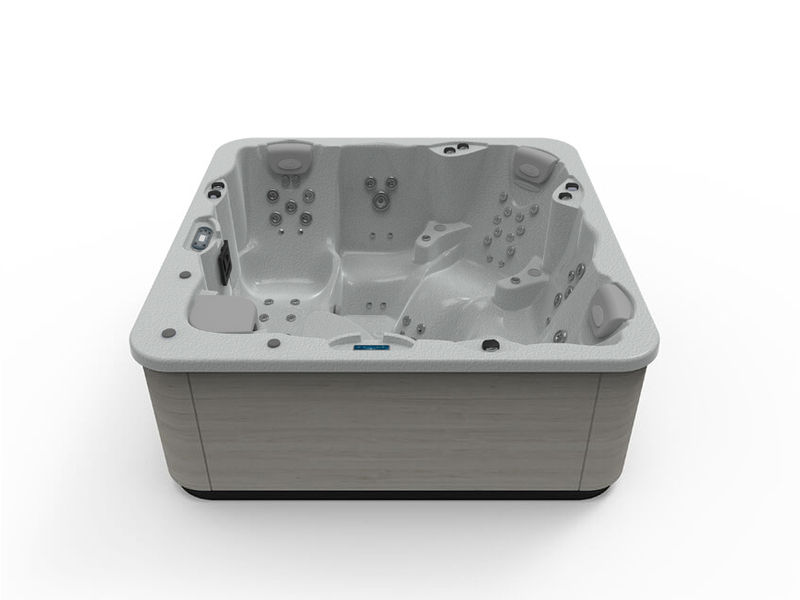 It is also the deepest Aquavia Spa hot tub for residential use. The Spa Aqua 8 has two loungers facing each other in an L shape so that the occupants can maintain good eye contact without their feet touching, thanks to the ample space and separation of the two loungers with the filter compartment. It is equipped with 48 hydrotherapy jets and an extraordinary arrangement of 24 pressurised hot air nozzles (bubbles), that use the Relax Impact System from Aquavia Spa to impact the buttocks and leg muscles and then immerse the body in a sea of relaxing bubbles. Like the other hot tubs in the Premium collection, its hydrotherapy features can be supplemented with chromotherapy (steady or sequentially alternating coloured light) or aromatherapy (releasing exclusive fragrances into the air in bubbles, without making the water dirty). There is also a music therapy option, with the installation of a complete Surround Bluetooth Audio sound system controlled from any mobile device. This large hot tub is favoured by many athletes of all levels (professionals, amateurs, and recreational) to end their training sessions or to relax their muscles for toning. 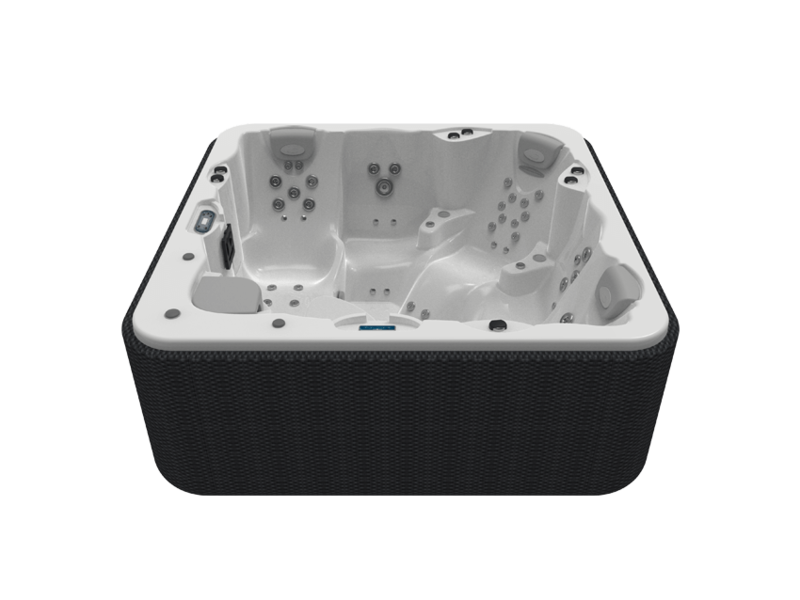 Its use by athletes is an added guarantee in terms of its capacity, power, and performance, thanks to its dual hydrotherapy pump and the option of regulating the massage intensity. 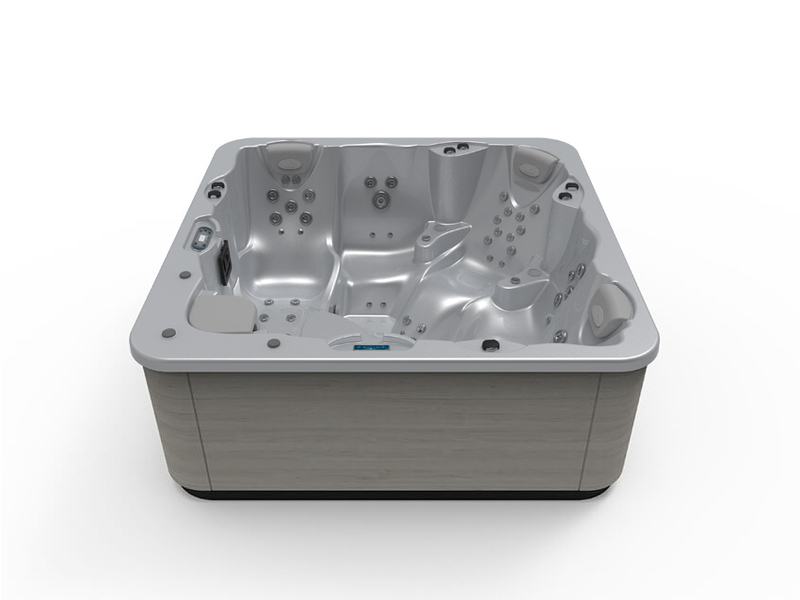 Effective and efficient: the Spa Aqua 8 also has the EcoSpa option, with thermal insulation that reduces energy consumption by 69%. And these savings can be increased, especially for outdoor installations, with the Nordic Insulation System (a highly advanced insulation system that guarantees 80% savings to maintain the water temperature at 38ºC in extreme conditions of up to -15ºC). 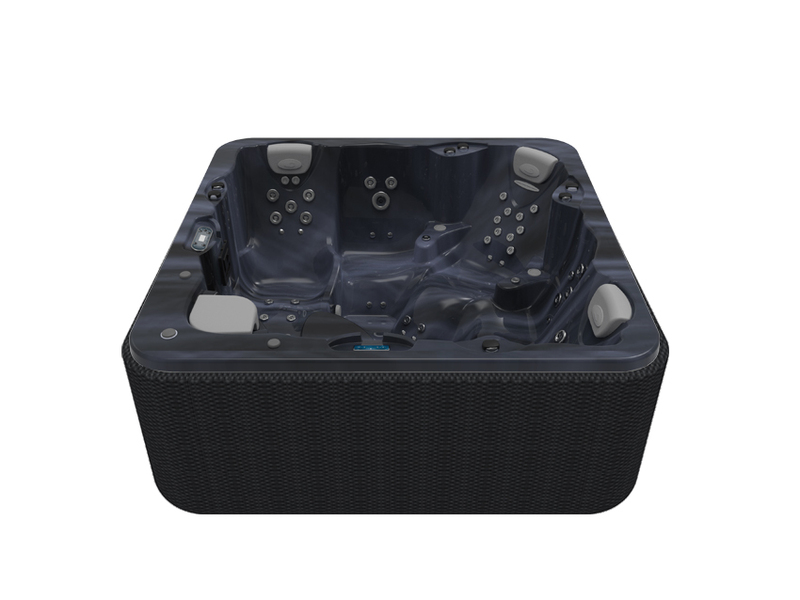 Going running or biking in the middle of winter, coming home and recovering your strength and warming up in your Spa Aqua 8. With company or alone. 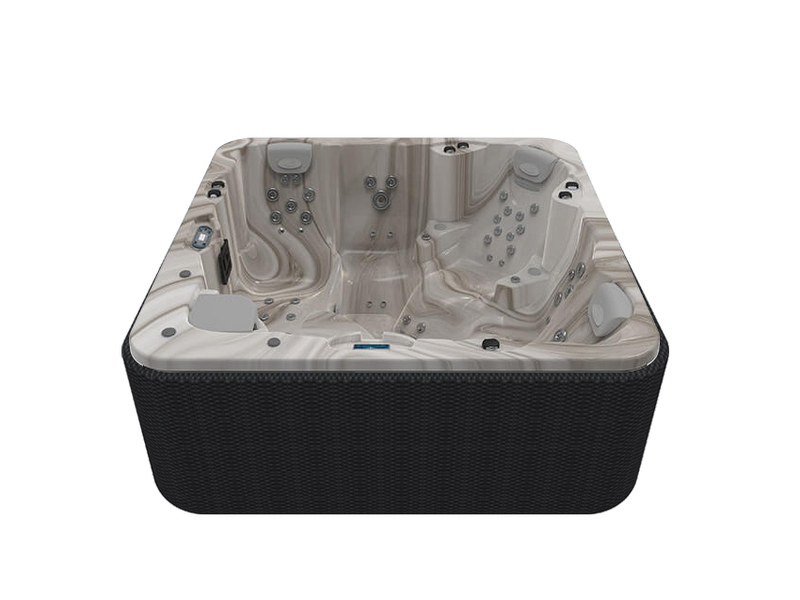 Inside or outside the house. With all the space in the world and putting your own needs first.